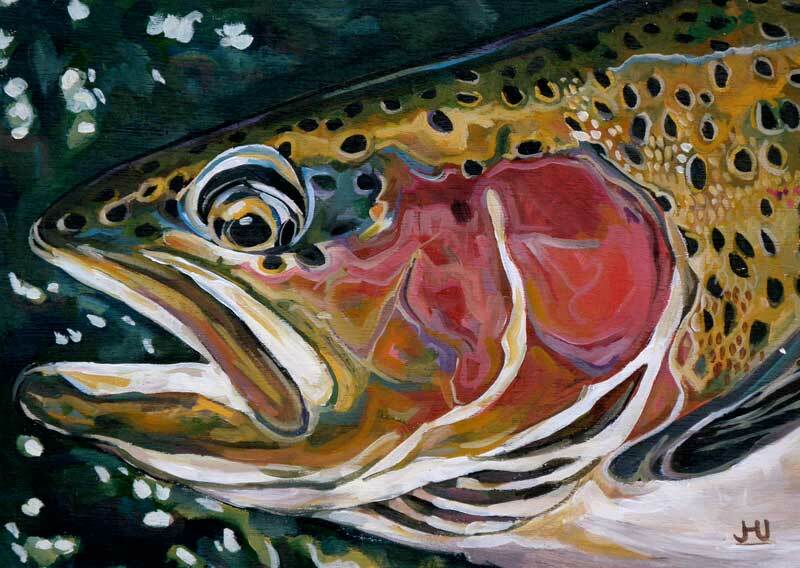 Josh Udesen’s art is an exemplification of his passion for rivers, his love of fly fishing and his need to be under an open sky. 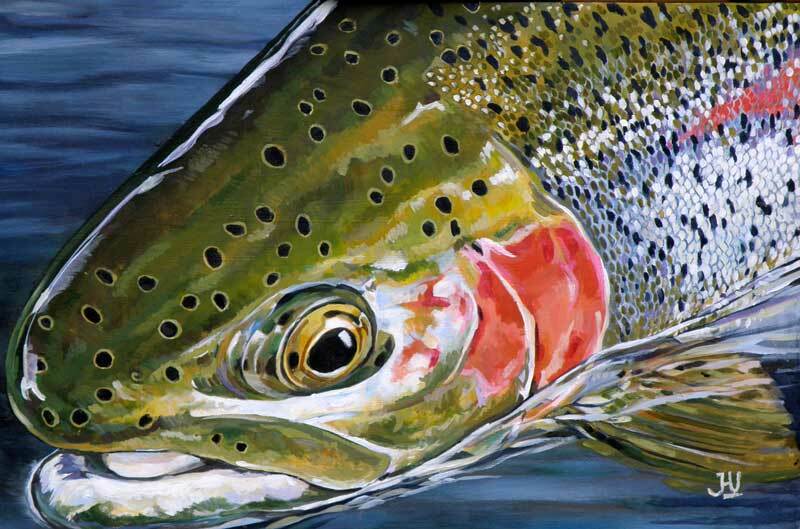 His early memories are forged with the indelible images of tents, fly rods, paddling canoes, campfires, cold mornings in duck blinds and trout rising to dry flies, all of which developed his love of the outdoors. 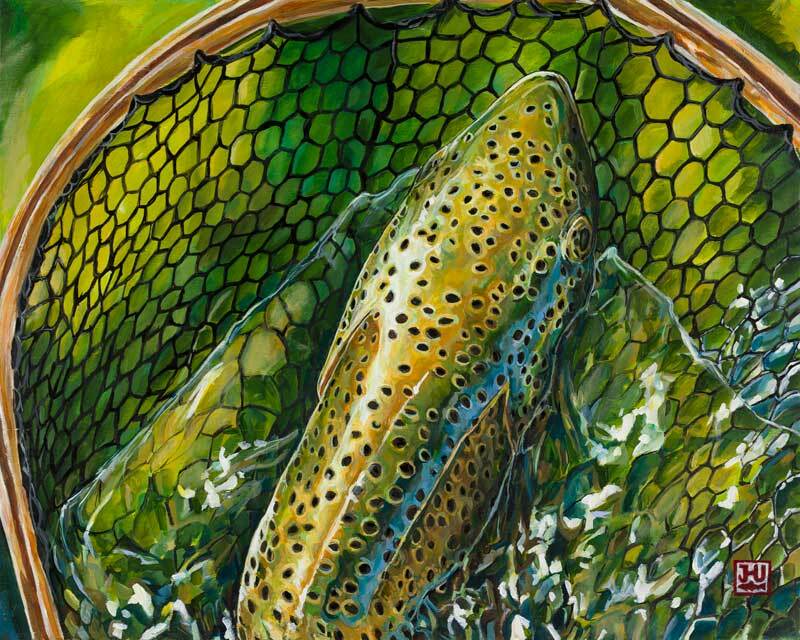 Between his youth on Lake Superior tributaries, years guiding fisherman in Alaska and Oregon and a wanderlust leading him to explore the globe in search of both adventure and fish, there is much to inspire his art. 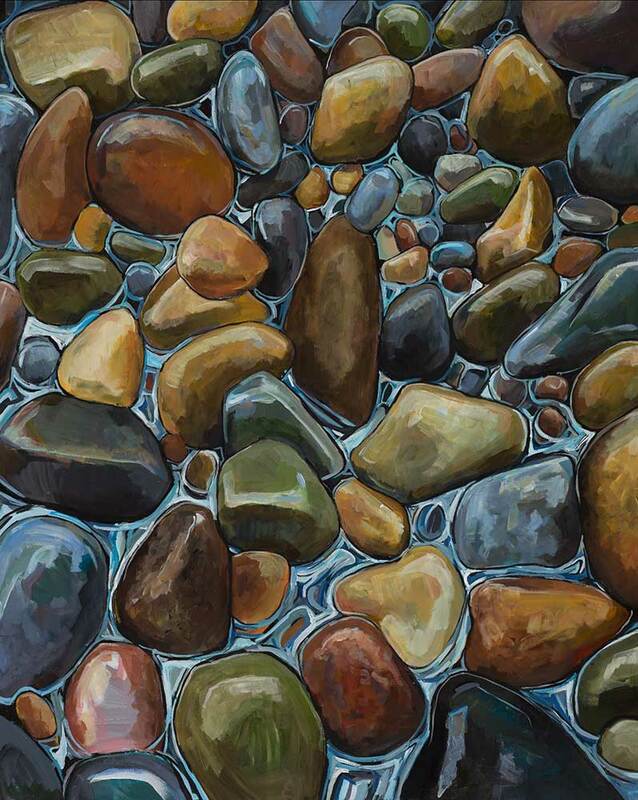 Josh’s love of drawing and painting is evident from his piles of sketchbooks and canvases dating back as far as he can remember. With little formal training, his art was always a hobby and has only recently developed into a more integral part of his life. 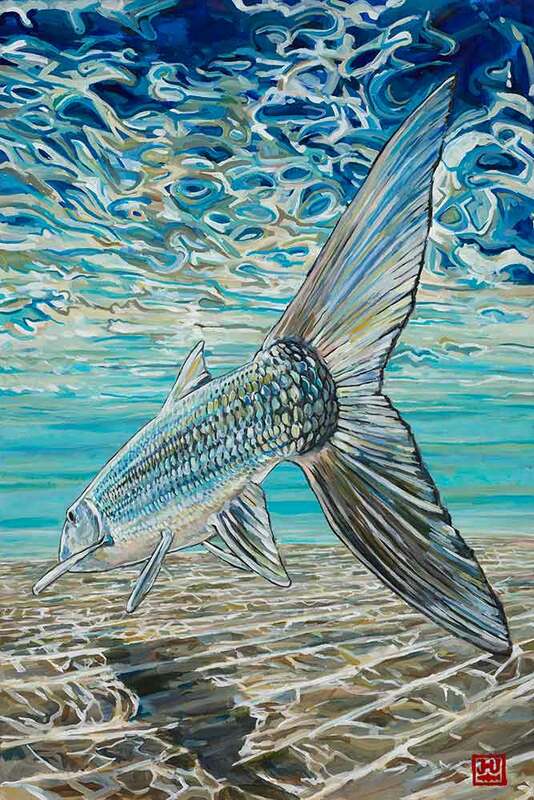 Within the last few years his art has been a part of exhibitions in Seattle, Bozeman, Crested Butte, Breckenridge, Jackson Hole, Boise, Coeur D’Alene, Sun Valley and Bend. 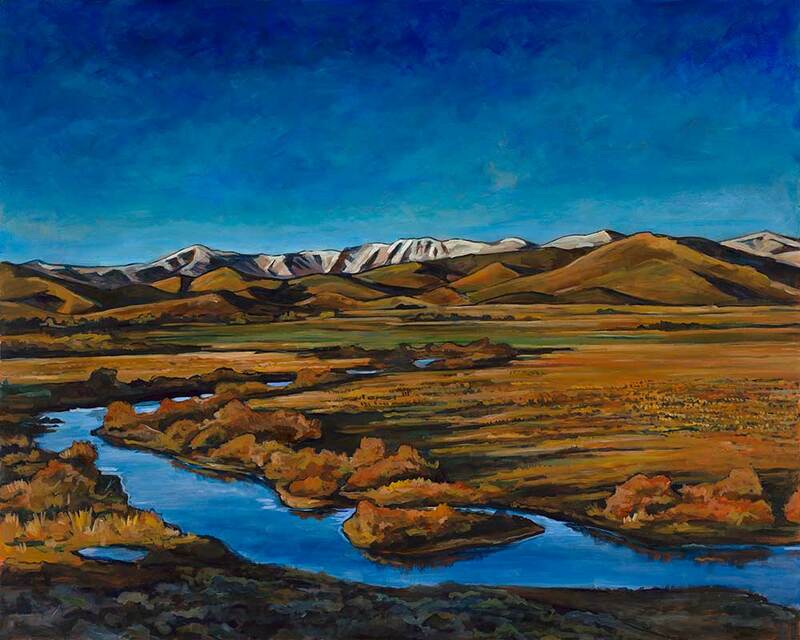 He was recently the Idaho Conservation League’s 2016 Artist in Residence, and spent a year developing a portfolio of Idaho specific art. 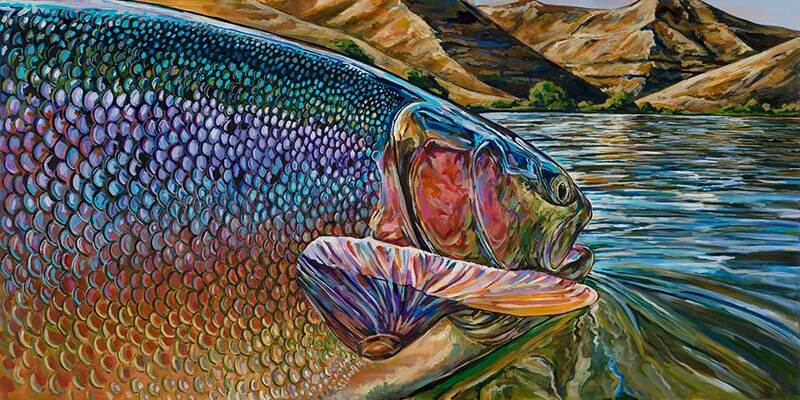 Additionally, his art was chosen as a major component in Patagonia’s Fly Fishing apparel for the 2011 – 2017 seasons and is a big part of Montana Fly Company’s Artist Series of merchandise. 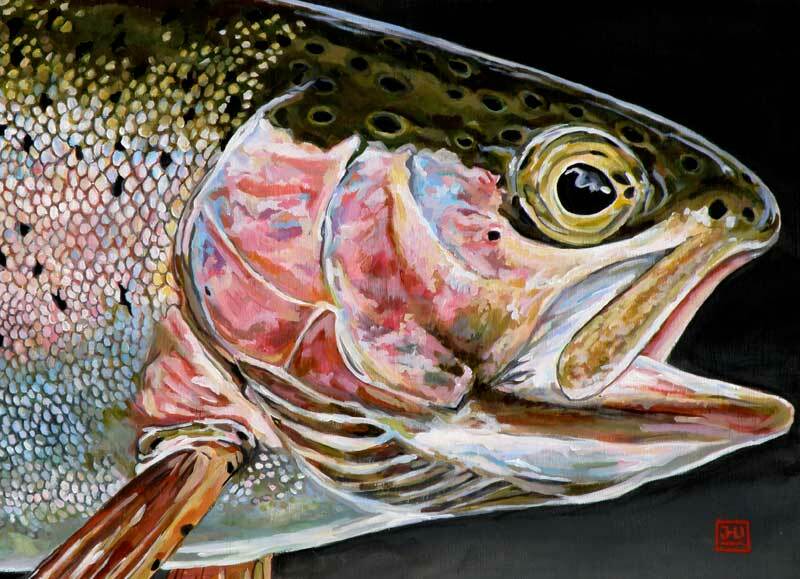 Although his career as an artist is a big part of his life, he still juggles a career as a high school history and comparative religions teacher, spends as much time as possible exploring Idaho with his wife and eight year old daughter and, on occasion, chases a trout or steelhead. 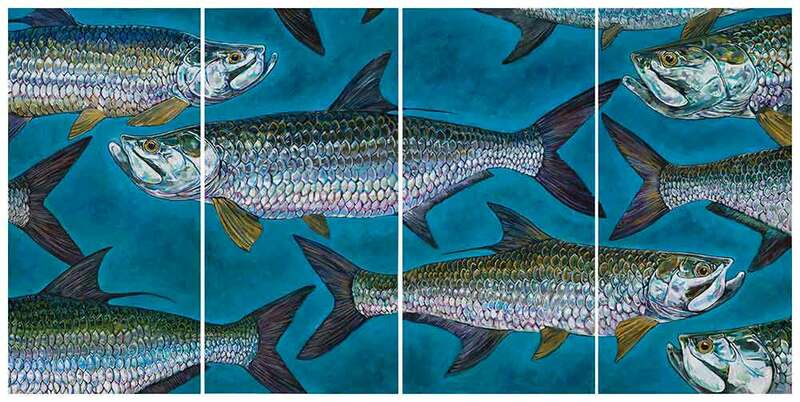 What has made this transition to art most exciting is the realization that many people share his fascination, affection and affliction for fish. 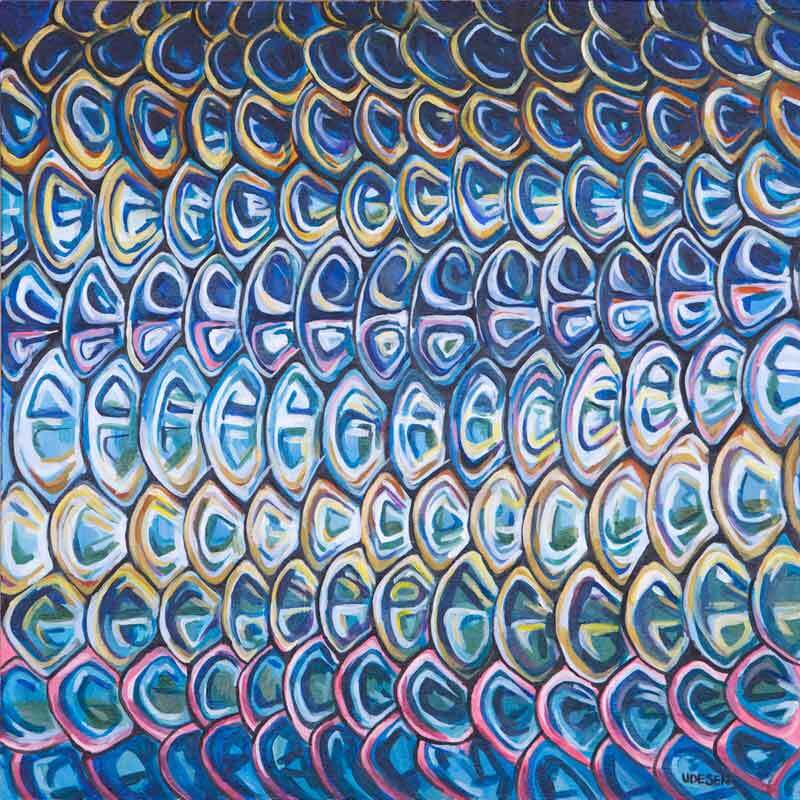 His portfolio, upcoming shows and news about his art can be found at his website in addition to his Facebook and Instagram page.